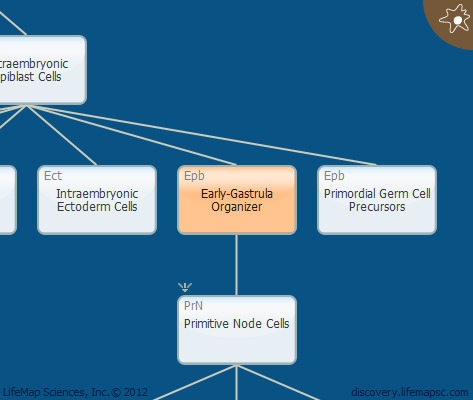 The early-gastrula organizer (EGO) has been identified by lineage analysis of the early mouse gastrula. It is comprised of a population of about 40 cells in the posterior region of the embryo, whose descendants colonize the typical node derivatives and the node itself. As in the node, this cell population expresses a repertoire of organizer markers and can induce a secondary body axis when transplanted. However, the secondary axis remains incomplete, lacking the anterior-most neural structures of the fore- and midbrain regions. These cells have been described in mouse. The human parallel has not been identified yet.